It’s no surprise that the three cars are pretty spacious inside. They all come with a panoramic roof as standard, but there’s still enough head room up front. 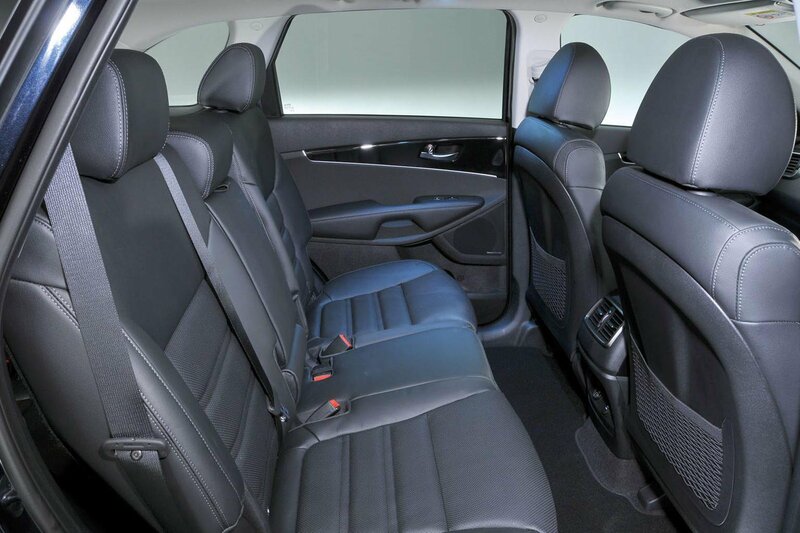 The Tiguan has the most head clearance, but the 5008 has a fraction more leg room, because its seat goes back a centimetre more. All three cars have a selection of nooks and crannies for odds and ends, but the 5008 has the biggest storage area under its front armrest and the most useful storage space between the front seats. We also like the foldable tables on the front seatbacks of the 5008 and Tiguan. Things get more interesting in the second row. All our contenders have sliding and reclining benches so you can prioritise passenger or luggage space. The impact of the panoramic roof on middlerow head room isn’t great in the Tiguan and shouldn’t be too major in the Sorento unless you’re over six feet tall. On the other hand, sixfooters will have to cower in the 5008’s middle row, because you can’t avoid the panoramic roof in GT trim. 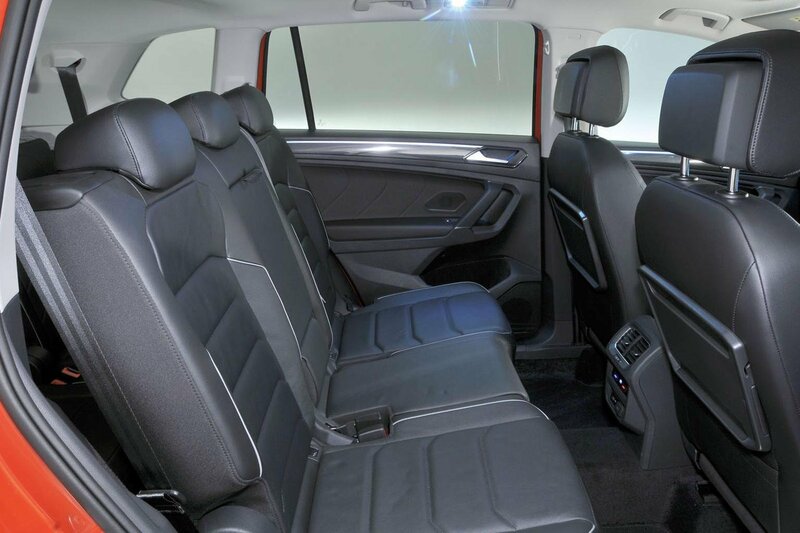 This is a great shame, because the 5008’s second-row leg room is actually the best here. Squeeze into the third row and the 5008’s head room improves greatly. Even so, it can’t beat the Sorento’s mix of interior width, leg room and head room. That leaves the Tiguan trailing far behind on space in the rearmost row. Head room is tight and your knees are forced upwards by a high floor. Volkswagen says the third row of the Allspace model is suitable only for those under 5ft 2in; we’d wholeheartedly agree. The Tiguan’s rearmost row is at least, like the 5008’s, reasonably easy to climb into. 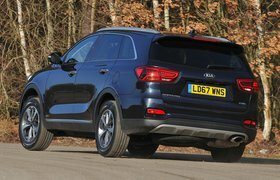 With the Sorento, it’s important to remember to get in from the nearside, because this is the only part of the middle-row bench that tumbles fully forwards to improve access to the rear. The 5008’s third-row seats are the easiest to erect, although it’s not a chore in the other two cars. None has a great deal of boot space with all seven seats in place. You’d struggle to fit more than a few bags of shopping, but it’s the Tiguan that’s best and the 5008 that’s worst. 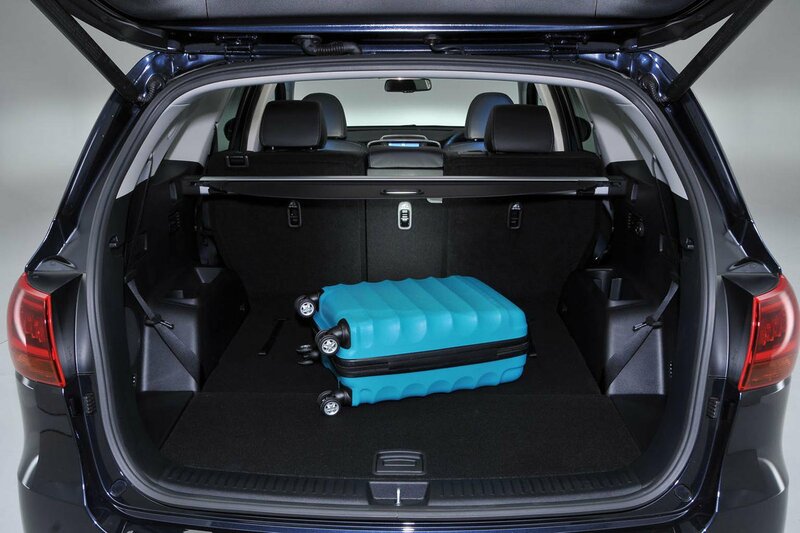 Things improve a lot in five-seat mode, although the Tiguan comes last here, swallowing just eight carry-on suitcases. The 5008 manages 10, while the Sorento scores an impressive 11. The Sorento is the biggest SUV in this line-up and it shows. It swallowed the most carry-on suitcases, has the most spacious third-row seats and is the widest inside. 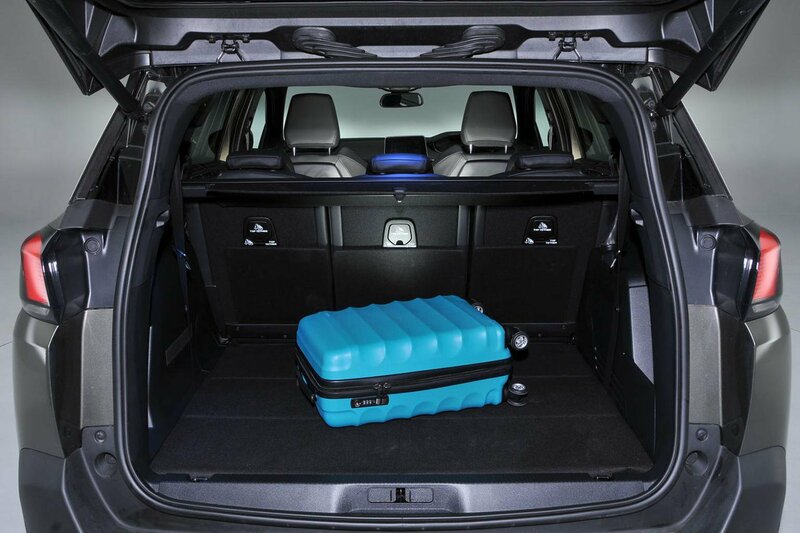 The 5008 has the biggest boot on paper, but we could only fit 10 suitcases, albeit with space to spare. The biggest issue is head room; the panoramic roof robs too much of it in the middle row. The Tiguan is worst for interior space behind the second row. 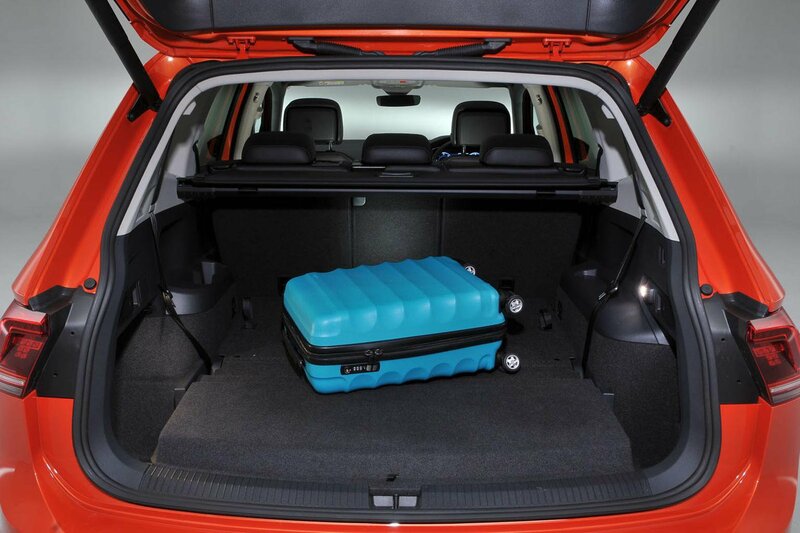 It managed to fit the fewest suitcases in its boot, too, and the load bay is an awkward shape. Third-row seats are cramped.